It’s time to start planning for wildflowers. 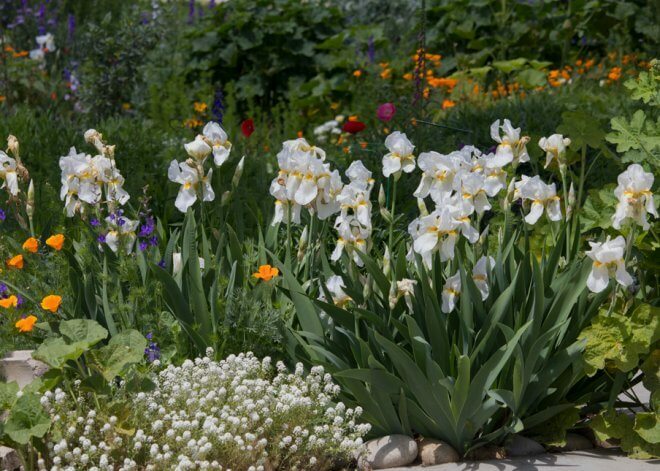 They can be added to existing flowerbeds or can fabulously fill an entire meadow. Most wildflowers will reseed and bring beauty to your garden year after year. As you might guess, I’ve got a weakness for wildflowers. Beneficial to your area’s indigenous pollinators and other fauna. Much less likely to become invasive in local riparian areas. Perfectly suited for your zone’s rainfall and weather. 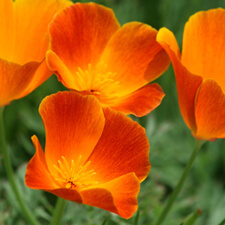 Consider whether you want annual, perennial or both types of wildflowers. 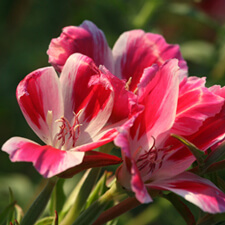 Many are sold in mixes or you can buy single species for stunning swathes of singular color. If you buy a mix, be sure to pull out the largest seeds to sow separately as they will require a deeper planting depth. Some will also benefit from stratification. 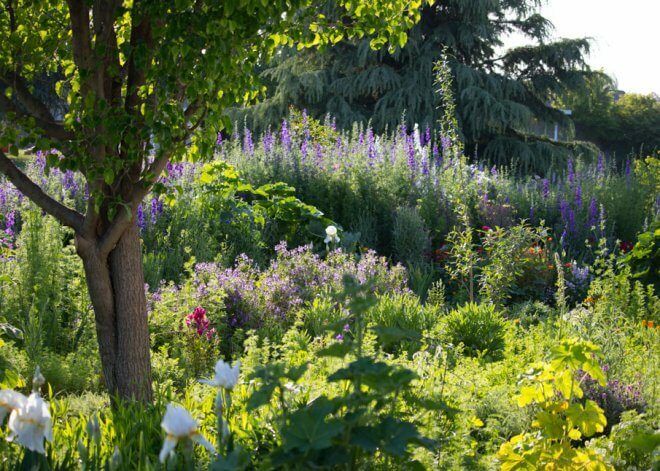 If you’ll be sowing a new area, the first task is to clear weeds. However in my yard, it’s not just weed removal; trolling the weeds is required. I get started by watering the area so that any existing weed seeds will germinate. I do this at least a month or so before sowing. Do not be tempted to use a hoe. Weeds love soil disruption and moving the existing soil can encourage more weeds. Instead, while the weed seedlings are small, I pull them out. In areas where I know there is a lot of weed seed in the soil and don’t want to have to pull them, I put down some layers to smother them. A thick layer of shredded leaves creates a smothering layers that many weeds won’t break through. And if they do, it’s pretty easy to pull them. Then I cover the leaf layer with purchased soil and sow the wildflowers seeds. Caution: This will not work with existing weeds – especially with Bermuda and/or nut grass. I usually start with larger seeds first. Usually, seeds are sown at about two times their width. With flowers like lupines, I soak them for at least a day before planting to maximize germination. Many wildflower seeds are pretty small and just need a light covering of soil (some people use sand). I like to use Kellogg’s organic soil because it’s mostly micro bark which nicely retains moisture but small enough that seedlings can easily grow around them. Some wildflower seeds are so tiny, they should simply be sown on top of the soil and some require sunlight. 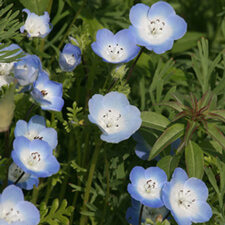 In Western states and in mild climates, wildflowers are best sown in the fall. 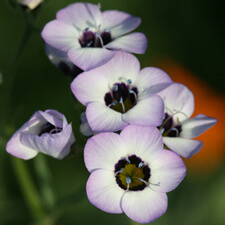 This allows them to germinate in warm fall weather, established during the winter and ready to bloom in the spring. In colder regions, it’s best to sow after the last frost date for your zone. In broadcasting the seeds, I generally just sprinkle them around as I tend to buy seeds that are sold without fillers. Some gardeners mix their seeds with rice hulls, sand or other fillers to make it easier to broadcast them. I recently saw a container of California poppies that were mixed with crushed walnut shells to make broadcasting a little easier. Last year I sowed a mix of California native wildflowers over an uneven area that had a depression that was filled with water for most of the winter. That might sound like a disadvantage but it turned out to be an interesting experiment. 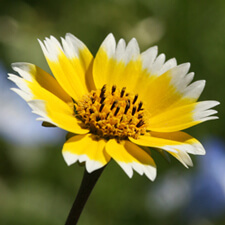 Tidy Tips (Layia platyglossa) grew almost exclusively near the depression. Birds Eyes (Gilia tricolor) mostly were in the area that got a moderate amount of water and California poppies (Eschscholzia californica) were mostly in areas that got the least amount of water. Baby Blue Eyes (Nemophilia menziesii) and Five Spot (Nemophilia maculata) were all over the place. And Godetia (aka Farewell to Spring – Clarkia amoena) just liked the areas where all the other plants had lower rates of germination (but also tolerated a fair amount of water). This year, I filled in the low area slightly because in its center, no natives were able to germinate but I mostly kept the depression that the Tidy Tips liked so much. It depends on your area and your timing whether (and how much) you’ll need to water your wildflower seeds. They’ll need to remain moist for germination and until they are established. From year to year, it depends on how much it rains as to how much irrigation is necessary. 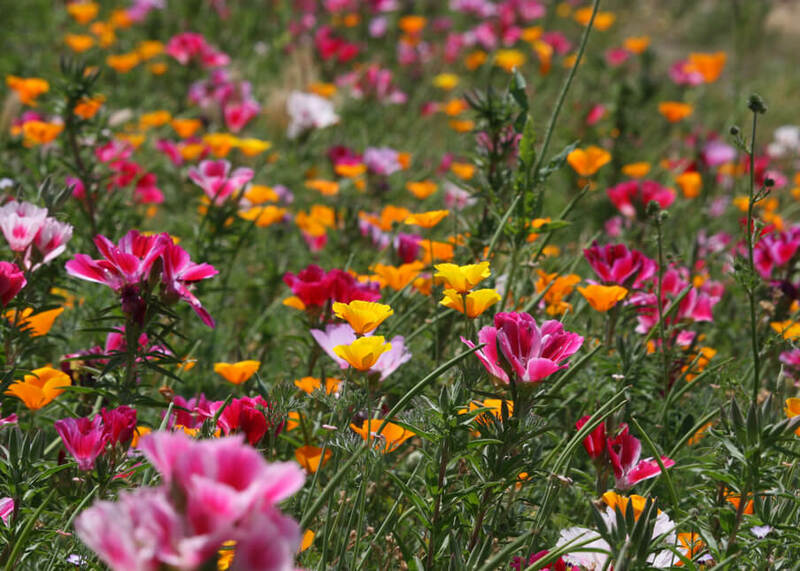 Last year, California had a lot of rain which kept my wildflower seeds perfectly wet for maximum germination. Once the seedlings are popping up, it can be hard to tell what is wildflower seedling and what is a weed. 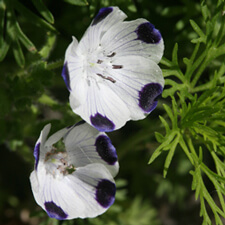 I’ve started a listing of wildflower flowers and the seedlings to make it easier. Though so far it’s just wildflowers that are California natives. I’ve seen wildflower seed mixes that are supposedly for shade, but I’ve found that means very light shade. Most wildflowers love the sun! 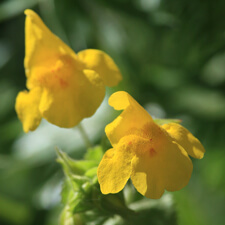 In my yard, I’ve found that the yellow Monkey flower (Erythranthe guttata) appreciates the shade more than any other wildflower I’ve grown. Every now and then, I’ll hear from a gardener who reports that nothing germinated or nothing volunteered the following year. In those cases, it’s time to look for the culprits! Clear the area of anywhere they might be hiding. If it’s a small area, put down a copper border. Tape or scrubbers can be used. Sprinkle the area with Sluggo. Warning: although Sluggo is non-toxic, your cat(s) might like it too. Mine will eat it all up as soon as I put it down. So I mix it with crushed red pepper flakes which my cats hate. Read about how to keep cats out of garden beds. Strawberry baskets (good for small areas). Shade cloth. This actually can be really useful if you are trying to get seedlings established when the weather is still hot. It can make a big difference in keeping the seeds moist. 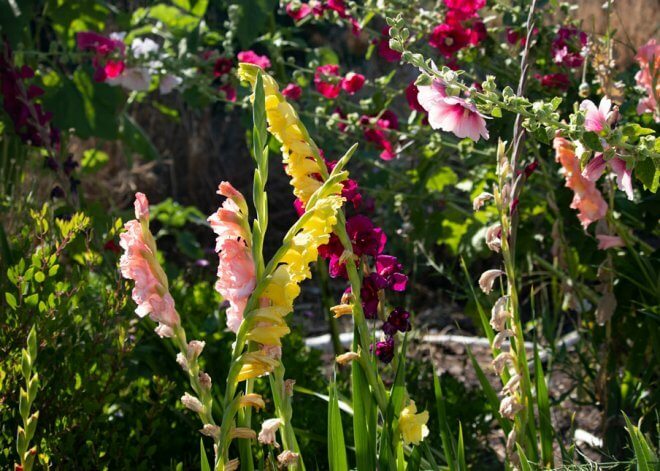 Read about planting during hot weather. I have a front yard that is covered with mulch and has some standard california natives (baccharis pigeon point and some lilacs). There are some bare areas that just have gorilla hair redwood mulch. If I pull the mulch and put in wildflower seeds, what will I get in the summer? Will it just be bare or are there little shrubs? Hi Scott, Sorry that I didn’t see this earlier! In my experience it’s not necessary to pull the mulch. 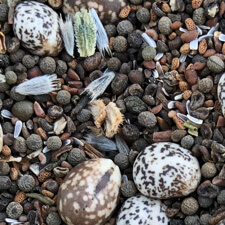 I just throw native seeds over the mulch and they settle into the nooks and crannies. They love it because they are able to send their roots down below the mulch and the mulch retains moisture. Thus, I’ve found that wildflowers growing in mulch fare better when the weather starts to get hot. I hope this answers your question. Love the mix of baccharis and lilacs!